'Woe to me!' I cried. He said, 'Go and tell this people: "Be ever hearing, but never understanding; be ever seeing, but never perceiving." ' "
In chapter six Isaiah gives us an event to date his ministry and his document. The year King Uzziah died was 740 BC. Chapter six of Isaiah may record Isaiah’s call into the prophetic office before Uzziah died in 740 BC. Isaiah 1:1 says that Isaiah’s ministry began during the reign of Uzziah (792-740, 52 years) and continued into the reign of Manasseh (697-642, 55 years). This means the Isaiah’s ministry at minimum lasted 43 years if it began the year Uzziah died, 740 BC, and continued until Manasseh’s first year, 697 BC. But, it is likely Isaiah lived and prophesied well into Manasseh’s reign. Jewish documents record that Manasseh executed Isaiah. (Isaiah’s death may be referred to in 2 Kings 21:16 and Hebrews 11:37. See “The Martyrdom of Isaiah” ). Isaiah may have prophesied for as long as 60 or more years. In Isaiah’s vision he is taken into the very presence of the Lord in the temple in Jerusalem (or, possibly, into heaven before the heavenly throne.) “High” and “exalted” are the same words used to describe God in Isaiah 57:15 and to refer to the glorified servant (Messiah) in Isaiah 52:13. The seraphim are only mentioned here in scripture, but seem to be the same as cherubim (Ezekiel 1:1-28; 10:1-22; Revelation 4:6-9). The Hebrew word seraph means “burning” and “glowing” and is similar to the Hebrew root word tsarap which means “purge” and is used in Isaiah 1:25. Any time a word is repeated two times in the Hebrew language it should be understood to indicate a total condition or as a superlative. But, in the Hebrew language the three-fold use of a single word never appears accept for here when the Lord is described as “Holy, holy, holy.” The point is clear. If a two-fold use of a single word, such as “Holy, holy”, indicates totality, then a three-fold use is beyond natural totality, beyond human expression and understanding. The young Isaiah is terrified and feels ruined and unclean because of the presence of the Lord. One of the seraphim takes a hot burning coal from the altar of burning incense setting in front of the Most Holy Place and touches Isaiah’s lips. Thus, purging his sin. With this the Lord asks for a prophet to go and speak to the people who are now under his judgment. Isaiah volunteers for the mission. But, Isaiah is commissioned for a mission that is not a very promising. Isaiah is told that he will be speaking to a people who cannot understand or perceive his message. In fact, God will prevent them from understanding the clear message he will put on Isaiah’s lips. The Lord says, “Go and tell THIS people,” instead of “Go and tell MY people.” Tell them that they have been rejected. Isaiah’s ministry is going to be the proclamation of a message that mockingly toys with “this people” who have refused to listen to the Lord. Through Isaiah the Lord is going to plainly proclaim his message to “this people”, but they will never understand the book of Isaiah. Isaiah's message will ever be in front of the eyes of “this people”, but they will learn nothing from it. They can see it, but they cannot perceive it. They are going to continuously hear it, but will never be able to unravel the meaning. 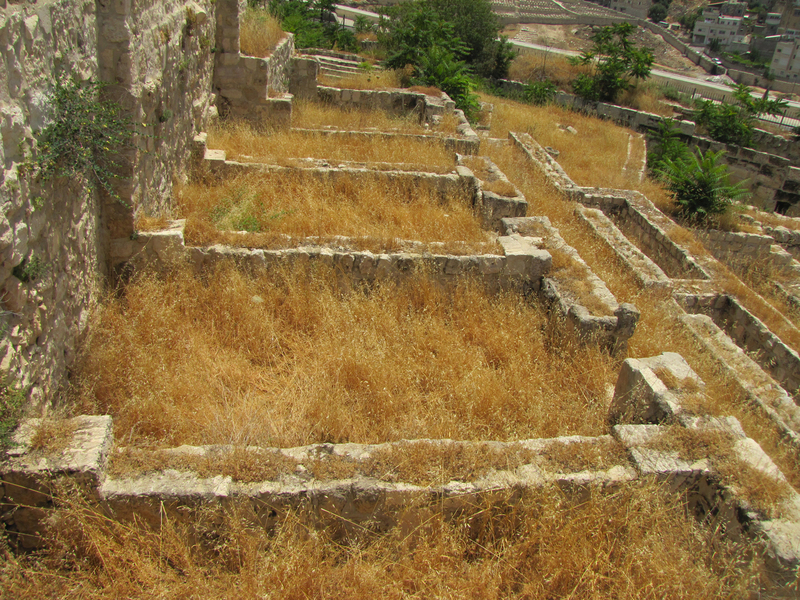 Kashal (Hb) – to stumble (Eng) - The Hebrew word kashal means “to stumble,” “to stagger,” “to totter,” and “to be thrown down.” Kashal can refer to literal stumbling as in Leviticus 26:37. Kashal can also refer to stumbling in the figurative sense as in Jeremiah 6:21 and Jeremiah 50:32. I will seek to hear and understand the Lord's message. I will proclaim and explain the Lord's message to those who will listen. 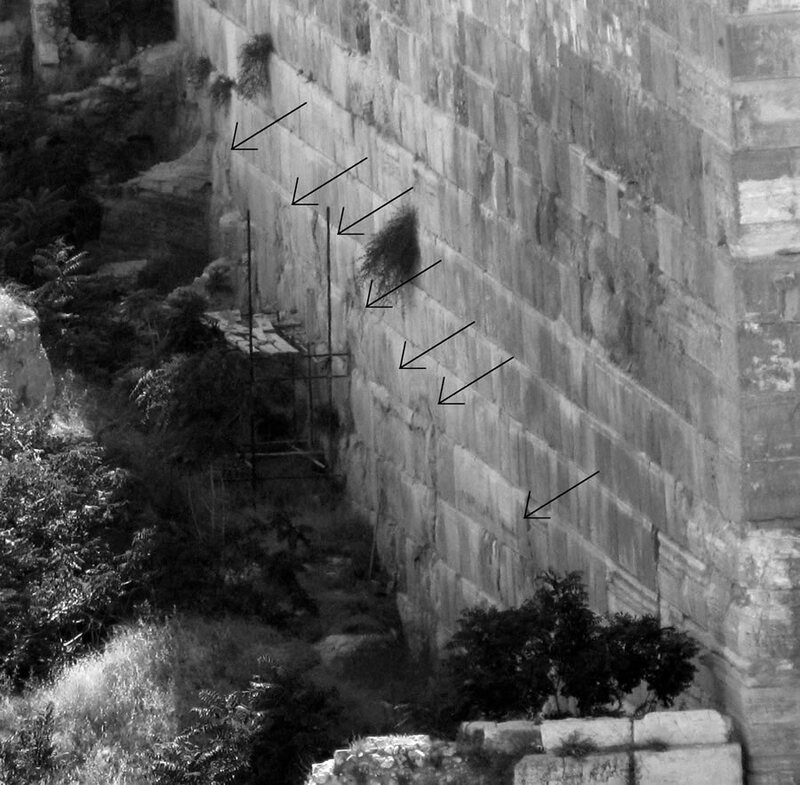 Location of shops along the south wall of the Temple Mount. Burn damage from the Roman destruction of these shops in 70 AD can be seen in these photos: 1, 2, 3. 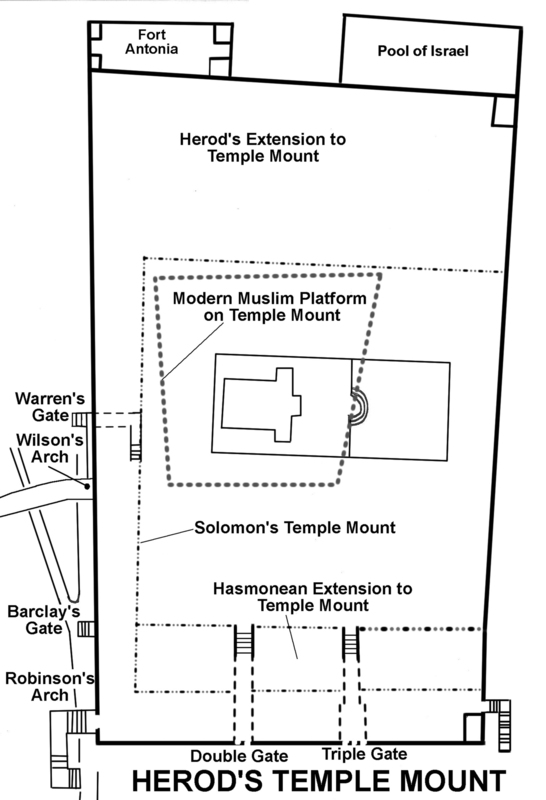 Details of the Herodian Temple Mount compared with the location of today's Muslim Platform. 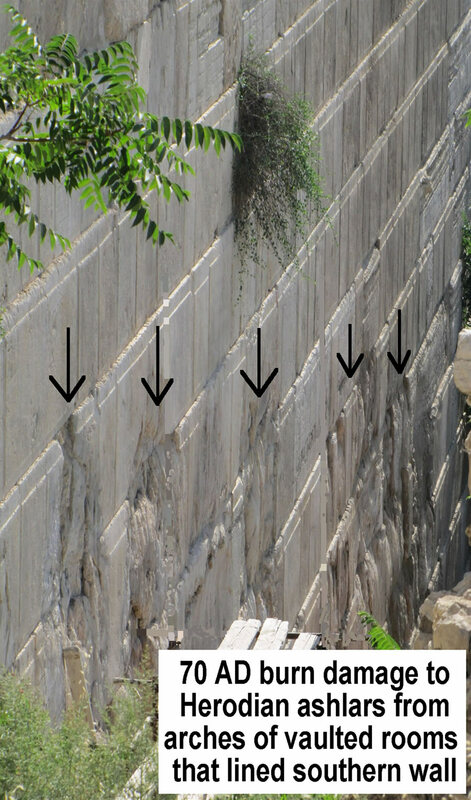 (Diagram of today's Temple Mount. "Unless I am convicted by Scripture and plain reason-I do not accept the authority of popes and councils, for they have contradicted each other-my conscience is captive to the Word of God. I cannot and will not recant anything, for to go against conscience is neither right nor safe. Here I stand, I cannot do otherwise. God help me. Amen." 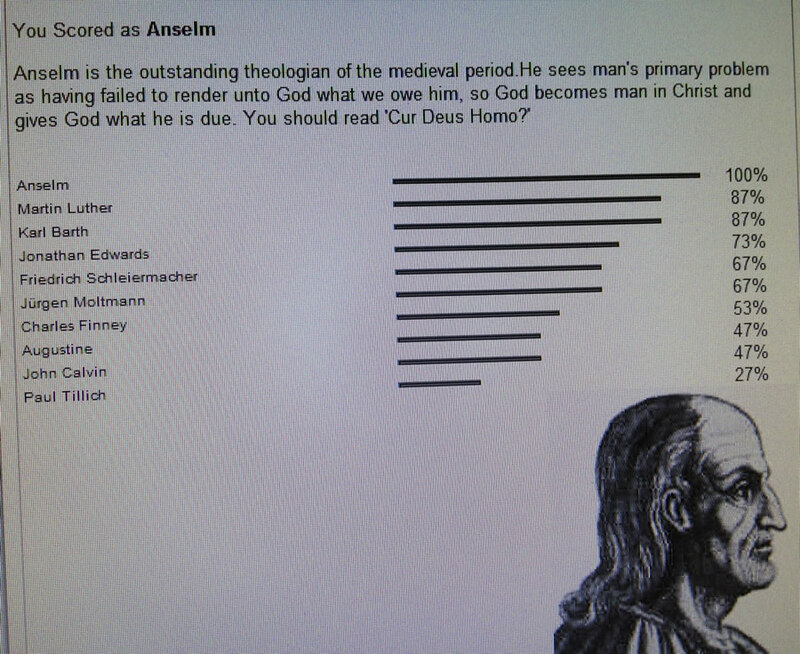 If you were a famous theologian from church history, which one would you be? Answer these thirty questions and find out. "'And after he was crucified they cast lots upon his vesture, and they that crucified Him parted it among them. And that these things did happen you can ascertain from the Acts of Pontius Pilate." "That he performed these miracles you may easily satisfy yourself from the Acts of Pontius Pilate." It would seem like these documents existed since Justin's entire argument would fall apart if Governor's didn't submit reports, if Rome didn't keep the documented reports in an archive and if Pilate's account of the crucifixion of Jesus was NOT on record in Rome for the Emperor to look up and research in 150 AD. for drunkards and gluttons become poor, and drowsiness clothes them in rags." “Cursed are you above all livestock and all wild animals! You will crawl on your belly and you will eat dust all the days of your life.